A Castle is traditionally defined as the fortified residence of royalty or a noble in feudal times. Sticking to its traditional form, the definition can be loosened somewhat to a strongly fortified, permanently garrisoned stronghold with no defined residence. However more recently the term “castle”, much to the dismay of the historically inclined, has been loosened even further to include large stately residences especially those with high walls and towers, imitating the form of a medieval castle. Perhaps the best example of this is Neuschwanstein in Germany, one of the most recognizable “castles” in the world. Built by Ludwig II of Bavaria in the 19th century, it served no military purpose whatsoever, contradicting the true definition of a castle. Typically castles are thought of as medieval structures and thus built in the latter stages of the “middle ages”. Castles were typical of Feudal society and as mentioned were usually host to royalty or nobility, for example a Baron, a Knight or a Count. The exact period they were built is a highly debated subject but there is evidence dating the emergence of castles back to the 9th and 10th centuries. Typically castles show the highest prominence between the 11th and 15th centuries as their creation began to dwindle by the 16th century due to technological and architectural advancements. Although Castles are generally thought of as European structures, it’s worth noting that some do exist in the Americas, although they are not featured below as their construction was well past Medieval times. They were built by Spanish and French colonies who were discovering the New World; this period of fort construction was actually named the “castle period”. Medieval Castles were considered a symbol of power and some of the most impressive military structures known to man, it’s no surprise then that these structures are commonly replicated. For this reason we have limited our list to Medieval Castles deemed worthy of the traditional definition of the term. We have also restricted additions to the list to one per country to try and make it as diverse as possible. We hope you enjoy reading it as much as we did putting it together! You would be forgiven for thinking we had picked more of a “palace” than a castle for the first structure on our list! However this is only due to the significant remodelling that took place in the 19th century. 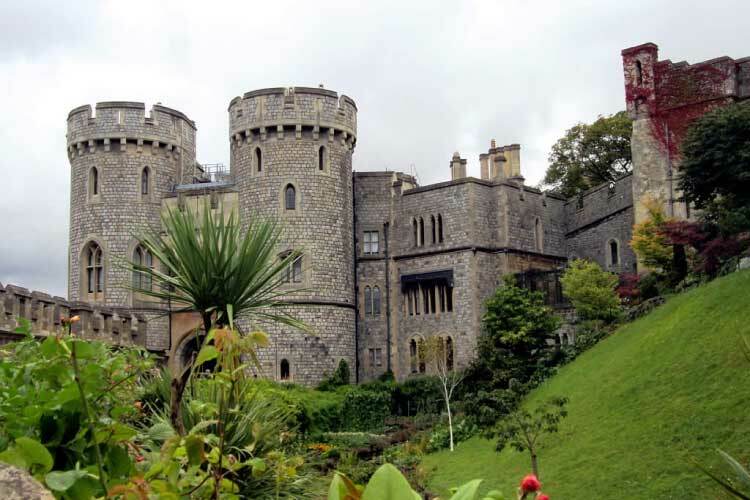 Windsor castle was built by William the Conqueror after the 1066 invasion, and one could argue this is the most significant castle in the United Kingdom. The Norman Gate pictured above was built by Edward III in the 14th century. You could argue it’s somewhat cliched that we picked Edinburgh for our Scottish Castle, but this really is one of the most incredible buildings on earth. 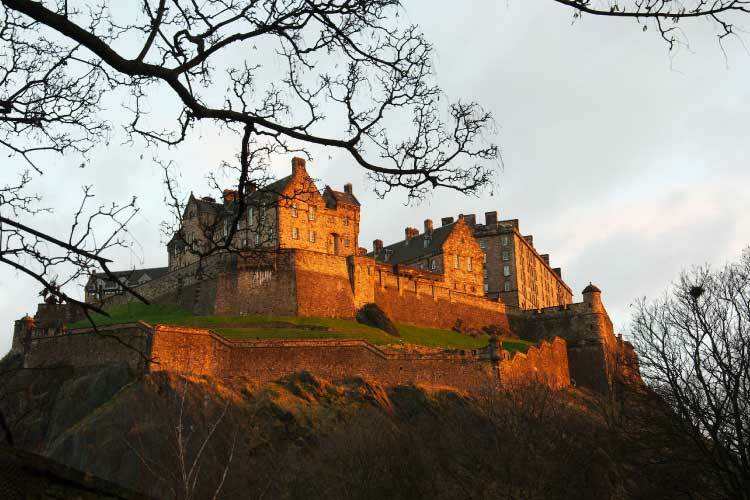 The first documentary reference made of this castle dates back to the death of Malcolm III in 1093, however references of a castle-like structure perched on castle rock, the plug of an extinct volcano on which Edinburgh Castle sits, are made as far back as 963. After the deliberate lack of originality from our first two picks we simply couldn’t chose Carmarthen for our Welsh Castle, although it’s well worth checking out. 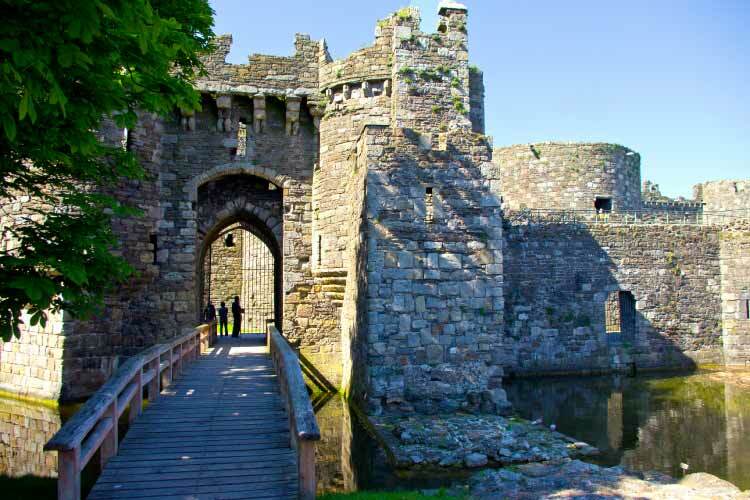 Built in 1282 by Edward I, Beaumaris Castle in North Wales is a UNESCO world heritage site and is said to be one of “the finest examples of late 13th century and early 14th century military architecture in Europe”. 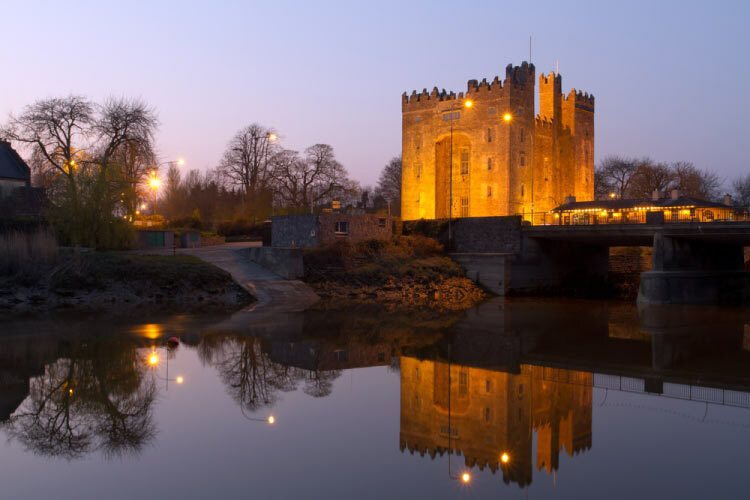 Ireland has a fierce history of clan violence, and no building exemplifies this better than Bunratty Castle. The current castle on this land may have been built in 1425 by the MacNamaras but this was the forth structure build on this site since 977. Destroyed multiple times, the site for Bunratty castle was an important defensive position protecting the port at Limeric via the Shannon estuary. The château du Haut-Kœnigsbourg is a medieval castle strategically placed overlooking the river Rhine on the borders of Germany and Switzerland. Originally built somewhere in the 12th century, the castle was eventually looted and burned by Swedish troops in the Thirty-years war in 1633. Rebuilt by the Germans in 1900 the castle was then reclaimed by France after WW1 and has been a popular tourist attraction ever since. Preceding the discovery of the New World, the Reconquista meaning reconquest in English, was a period lasting around 800 years and one of the most significant leading up to the Portuguese and Spanish colonial empires. 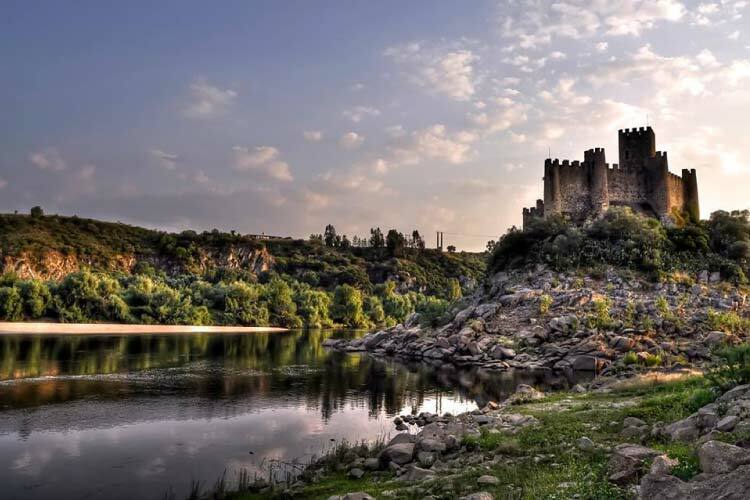 Almourol Castle is perhaps one of the most scenographic buildings representing this period, over 300 meters long and 75 meters wide. An interesting addition to the list, the Alcázar de Segovia has indeed been used as a palace in the past, however the structure was first used as a castle around 1200 when King Alfonso VIII set up residence during the reconquering of the south of Spain. In fact, throughout history this structure was a favoured fortification of the monarchs of Castile, one of the medieval kingdoms on the Iberian Peninsula giving this castle more than the right to be on our list! Built originally in 1268, Koldingus has a complicated history. After the death of Abel of Slesvig, his brother Christoffer I was elected to the throne instead of Abel’s son, Valdemar who was in prison in Cologne. When Christoffer died, his son Eric was elected king instead of Valdemar who became Duke of Schleswig and chaos ensued; Koldingus was build to defend the southern region of Denmark. 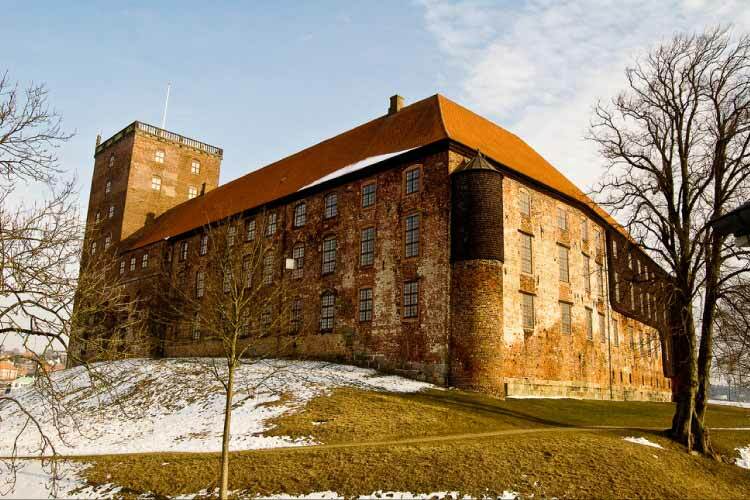 Koldingus was originally intended only as a fortress, however it was turned into a castle in the 16th century by Christian III who eventually turned it into a royal residence. 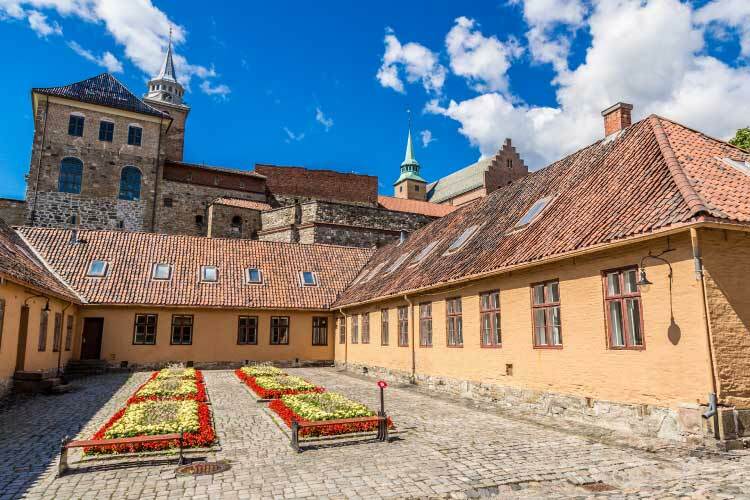 Moving onto Scandinavia, although this classic Norwegian castle is typically referred to as a fortress, it was built specifically as a castle in 1290 by King Haakin V to protect the capital, Oslo. It was first used in a military setting in 1308 and has successfully survived all sieges in its history. Turned into a fortress in 1592, the reason this castle has a rather modern look to it, is due to its remodelling and subsequent return to castle status in the 17th century by King Christian IV and thus takes the appearance of a renaissance castle rather than exuding it’s medieval routes. 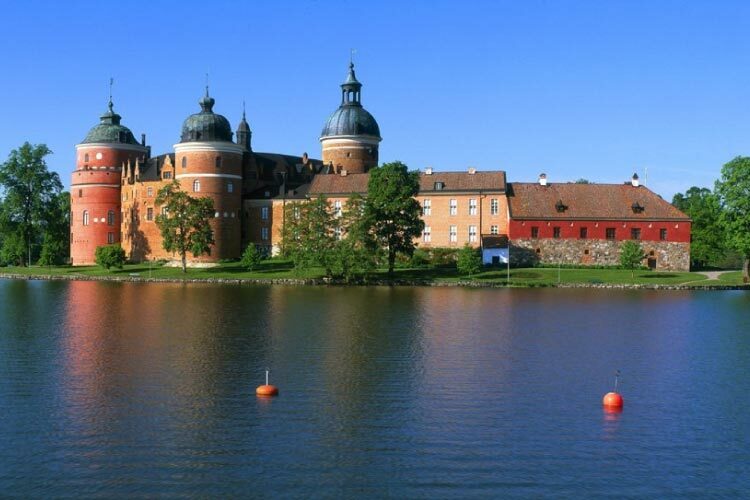 Originally built around 1380 and classified as a fortress, this structure was torn down in 1526 by King Gustav I who build living quarters with defensive circular corner towers and a wall, turning it into a castle in the true sense of the world. The castle was used as a prison for 60 years in the 18th century before, like many others, it was completely restored in the late 1800s. It is currently used as a museum and is open to the public. When you think of castles in Finland, you likely picture Olavinlinna, however there is an argument that this structure was only a fortress, home to a garrison protecting Finland from an invasion by Russia. 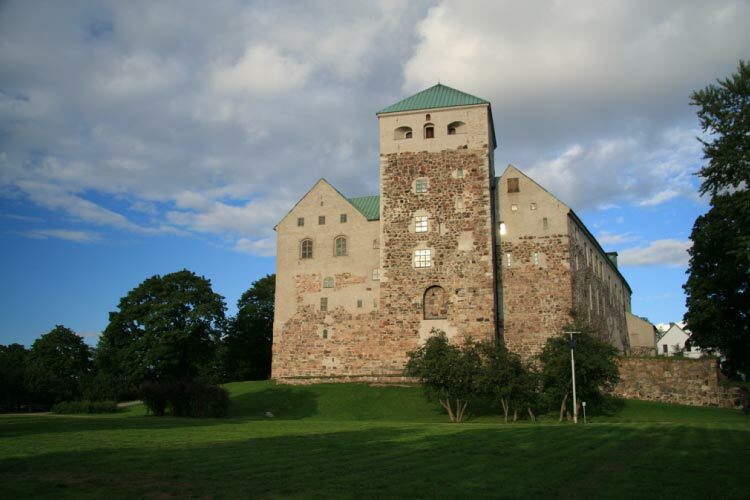 Turku’s castle status is unquestionable; one of the oldest buildings in Finland, it was ruled at different times by either a commander, regent or duke and was heavily fortified due partially to it’s use as Finland’s administrative centre during certain periods. It might surprise you that there are more than 1000 castles in Holland. 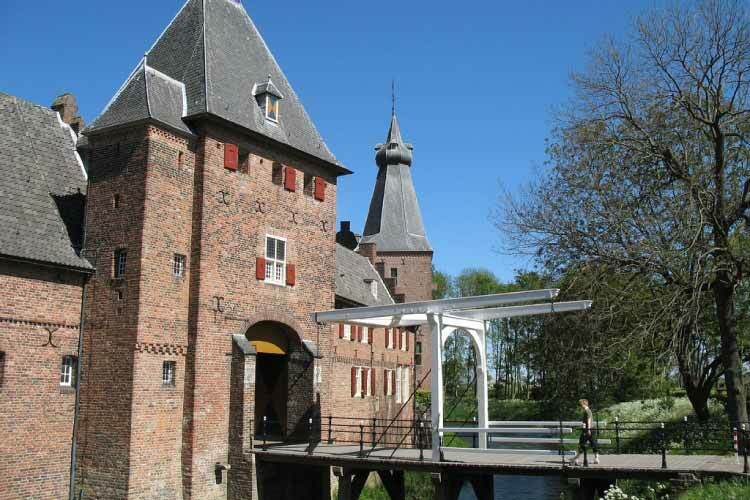 Few of which have a more volitile history as Doorwerth Castle; Burned to a crisp upon is initial conception, the castle was rebuilt several times and pasted between various Lords and Knights during the Middle Ages. As with most other Medieval Castles, the building was heavily restored and modernized in the 1800s (We are now becoming increasingly aware of the reason older looking fortresses are commonly mistaken as castles!). 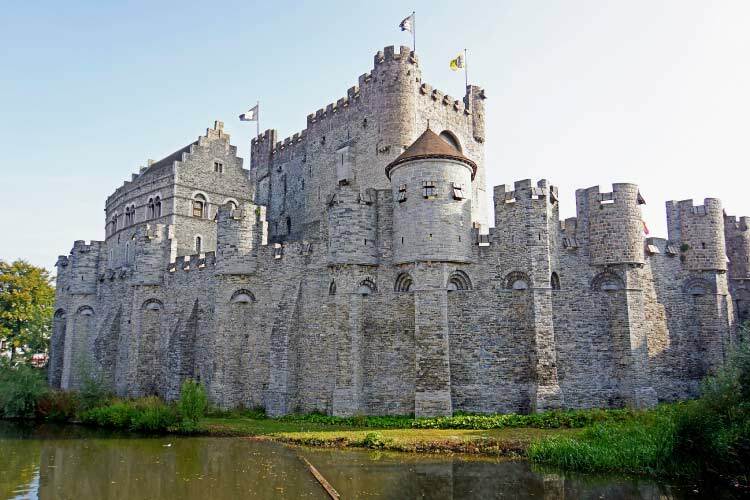 Meaning “Castle of the Counts” in Dutch, Gravensteen was built in 1180 by Count Philip of Alsace and was home to various other Counts until the 14th century; A Count is the equivalent to a British or Irish Earl. Houses were built around the structure when it fell into disrepair until 1885 when the houses were removed and the castle restored by the city of Ghent. 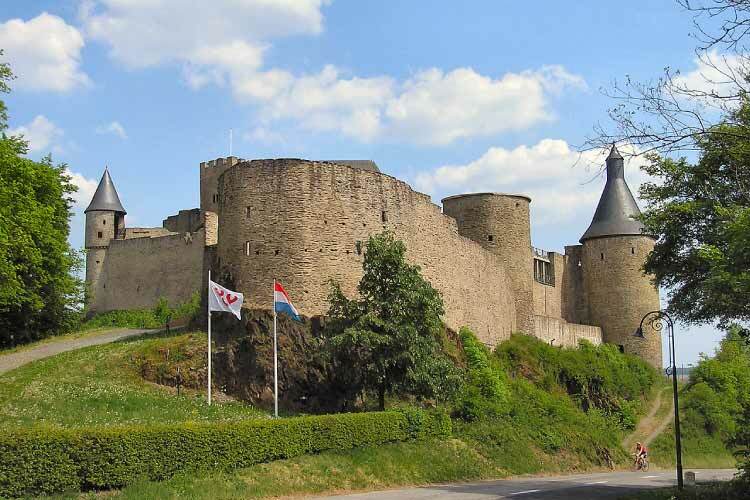 This incredible castle was built in multiple stages by various Lords in the Bourscheid family starting around the year 1000. The initial building housed a palace and chapel and it wasn’t until 1384 when an outer wall complete with 8 towers was built along with a large bakery and a small prison. After the last Lord of Bourscheid died, the castle was split between 3 different families and nobles lived here until 1812 when it was auctioned off. Acquired by the Luxemborg government in 1972, it was declared a historical monument and has had significant restorative work done since. In a country that is arguably home to more iconic castles than any other country in the world, it is hard to pick just one from Germany. However in a county that is also home to a large proportion of structures that historians would classify solely as palaces – Eltz Castle was an obvious choice. 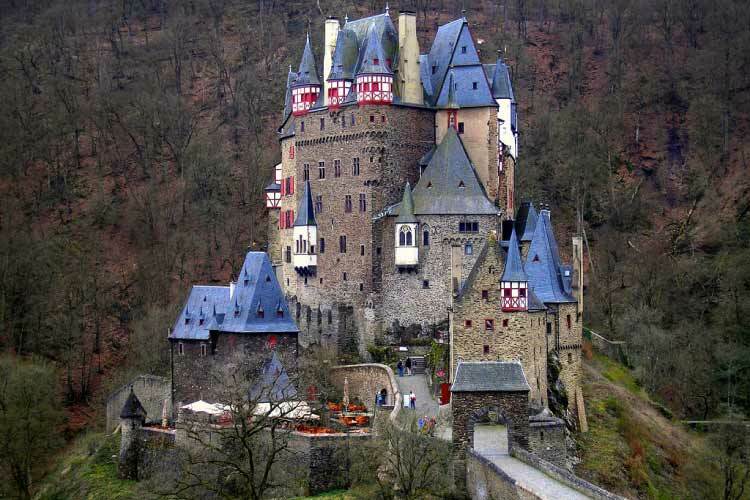 Originally built from 3 separate fortresses, Eltz castle actually housed three branches of the Eltz family which is one reason they could actually afford to build such an impressive structure, usually only available to extremely rich European lords. Located in one of the most picturesque corners of Europe, Château de Chillon commonly referred to as Chillon Castle is located on Lake Geneva and was built in 1005 by the Counts of Savoy. During the 16th century the castle was used as a state prison and became popularized by Lord Byron, an English poet and leading figure in the Romantic movement who wrote The Prisoner of Chillon about a monk who was imprisoned there for 6 years in the 16th century. In another country packed full of beautiful Castles, fortresses and palaces, Castello Orsini-Odescalchi is not only a castle in the ture sense of the definition it is also has one of the most beautiful views you’ll ever see; not surprising really that the feudal lords of the time decided to reside here! The structure as it stands today was originally built by Napoleon Orsini in 1470 and completed in 1485 by his son. 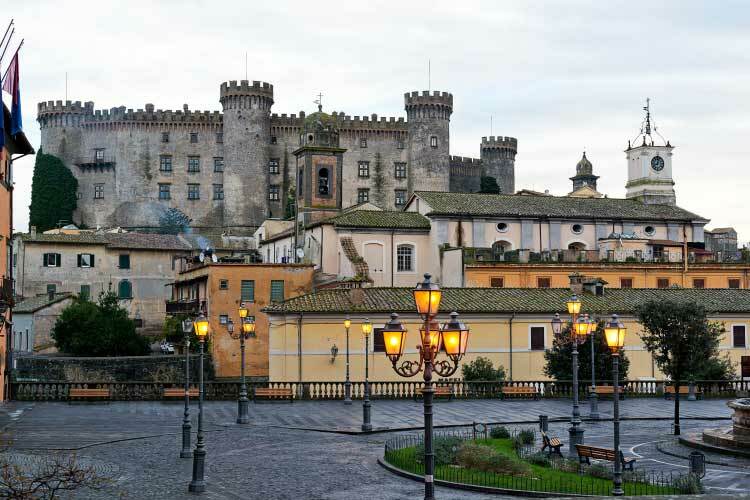 Home to a multitude of conflicts the castle became a stronghold and has become one of the most famous castles in Italy. One of the most iconic buildings in Liechtenstein, this castle was first constructed as a fortress in the 12th century before living quarters were added in the late 13th century. The castle was burned by the Swiss Confederacy in 1499, restored later and expanded by Count Kasper von Hohenem in the early 17th century. Today the castle is the primary residence of the Prince of Liechtenstein and has been since 1938, unfortunately this means the castle is not open to the public currently. Austria is home to some truly astounding architecture and Forchtenstein Castle does not disappoint. 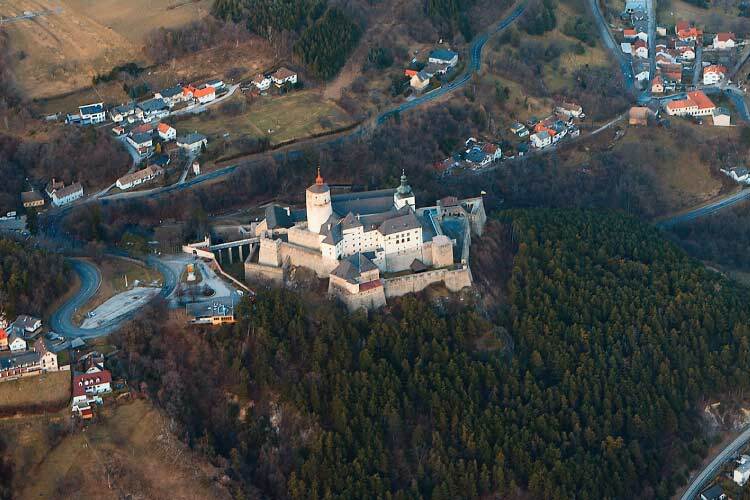 Originally built in the late middle ages by the Lords of Forchtenstein it was later passed over to the House of Habsburg who leased the castle to many others including various Counts. Refurbished in the 17th century it remained intact during WWII and remains in the Esterhazy family who received the castle from Emperor Ferdinand II in 1622. This castle was originally build in the 14th century and has changed in style over time from it’s early gothic conception to a renaissance style and finally imitating it’s origins in the Neo-gothic form it takes now. 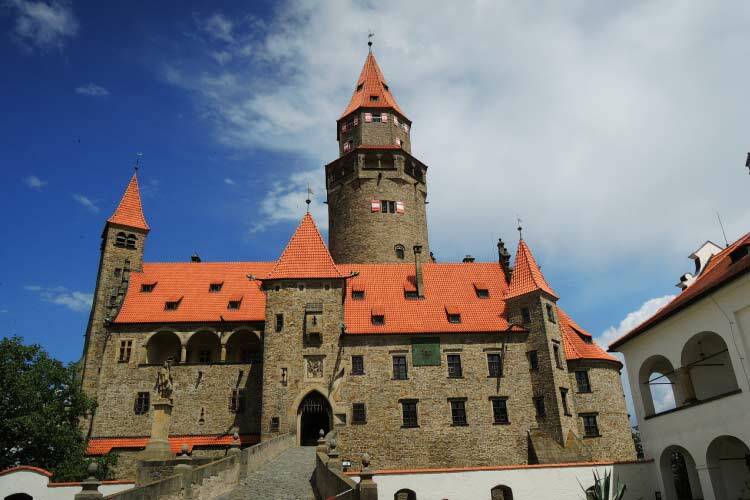 Situated on the then trade route from Olomouc to Lostice, Bouzov Castle played host to various nobles and in fact was place of birth of the Czech King Jiri z Podebrady in 1420. 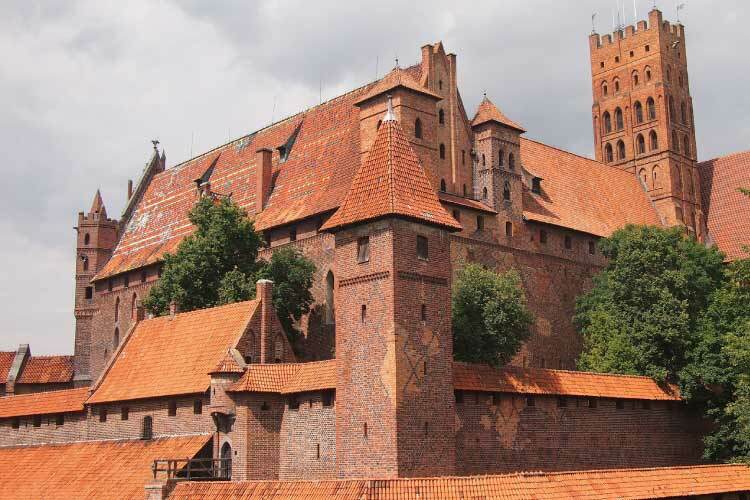 Initially intended as a fortress, Malbork castle has seen one of the most legendary transformations in Eastern Europe. Built by the Teutonic Order in 1274 the castle was expanded multiple times and housed the growing number of Knights in the region. Upon completion in 1406 it was, and still is the largest brick castle in the world. UNESCO recognized the significance of the structure, declaring it a World Heritage Site in 1997, stating that Malbork is “the most complete and elaborate example of the Gothic brick castle complex in the characteristic and unique style of the Teutonic Order”. 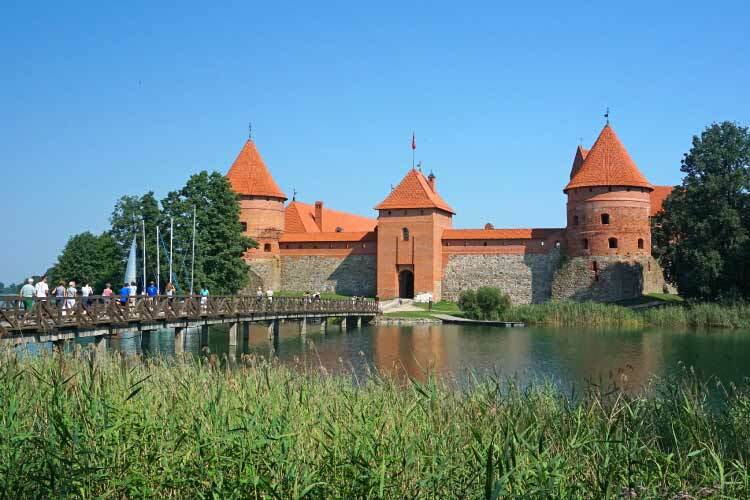 Started in the 14th century by the Grand Duke Kestutis, a monarch of medieval Lithuania, Trakai Island Castle was built in stages, ending in the early 15th century. Unfortunately the castle lost it’s military significance soon after it’s completion and was transformed into a residence, witnessing the death of Grand Duke Vytautas, Kestutis’ son in 1430. The castle is now a huge draw to tourists after being resorted to its 15th century glory by the Germans after WWII. From around 30 years after the time it was originally built in 1209 up until 1561, the castle housed the Master of the Lithuanian Order, an autonomous branch of the Teutonic Order; an important German medieval military order. 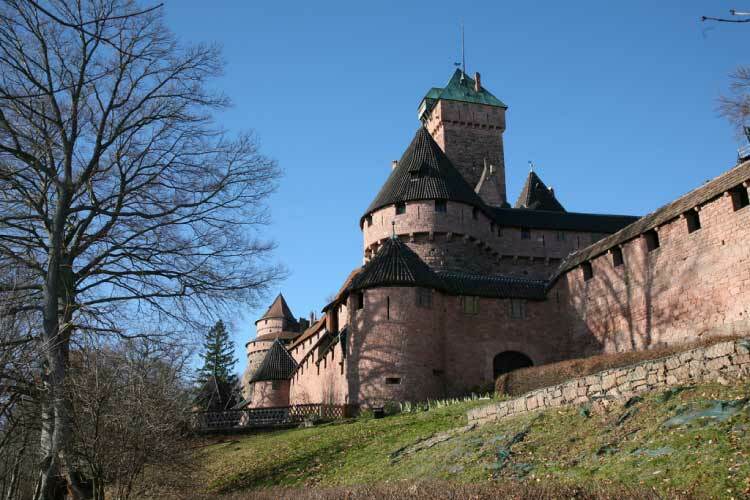 The castle also featured in classic Russian literature, the best example being Alexander Bestuzhev’s tales of the Livonian Knights in Gothic times – Castle Wenden. 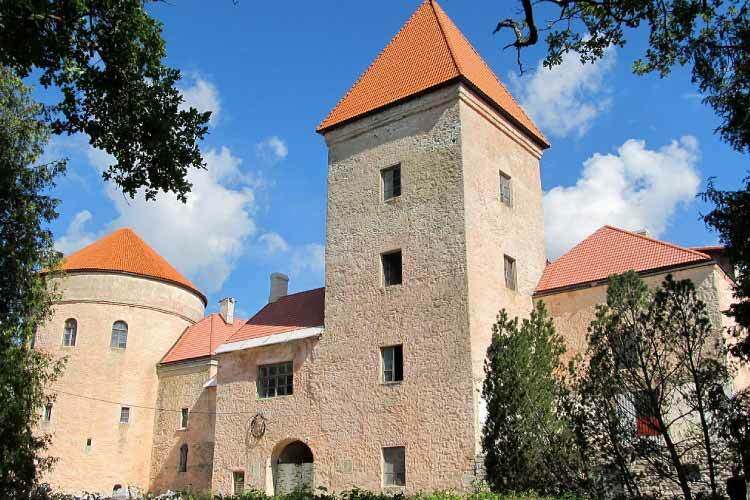 Established in the 13th century this castle was built under the order of the Bishop at the time and has seen many battles including the St. George’s Night uprising and the Livonian War. Passing hands between a few bishops, the castle finally became a manor and due to it’s fall in military significance much like many of the other castles in Europe it became an aristocratic residence through much of the 17th and 18th centuries. 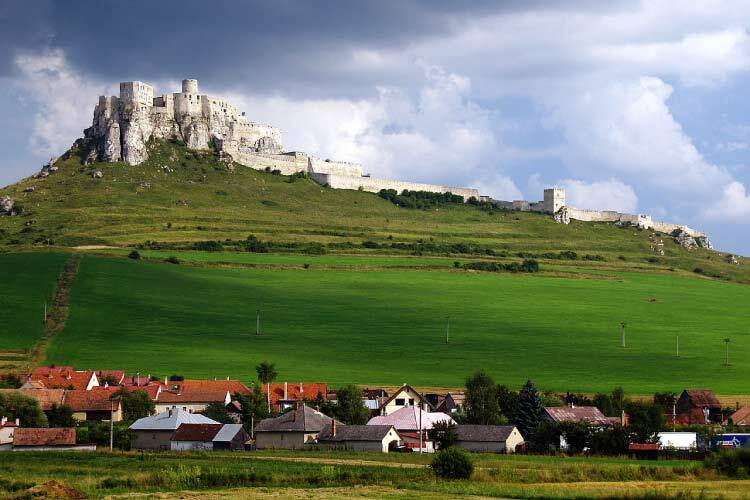 One of the largest castles in Central Europe, Spis Castle was originally built in the 11th and 12th centuries but was expanded drastically by Belo IV in defence against the Tatars. Prior to the 16th century, the castle was owned by the kings of Hungary, effectively became the centre of the country and housed many nobles. The castle has seen an abundance of archaeological research and has also been the site of many Hollywood movies including Dragonheart, Kull the Conqueror and The Last Legion. 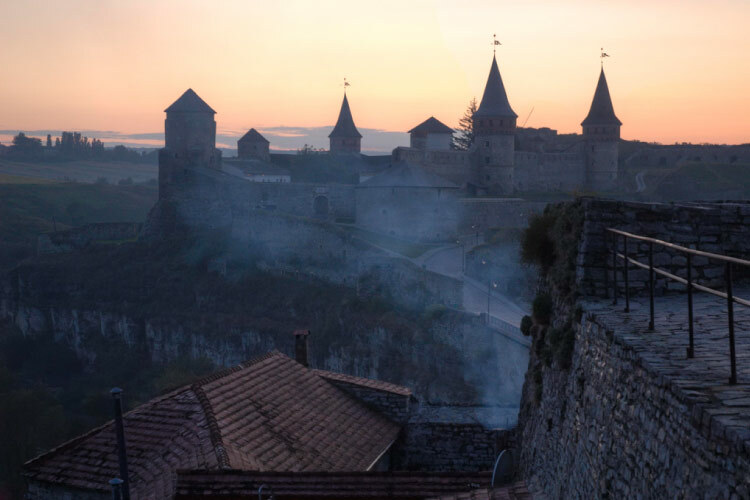 One of the best kept examples of Medieval architecture in the Ukraine, Kamianets-Podilskyi Castle dates back as for as the 14th century, however there is evidence the castle is even older than that. The castle was originally just a dirt/wooden fort but was transformed by Lithuanian Princes into a stone castle. The castle at the time was one of the most important structures in the country and today is part of the Seven Wonders of the Ukraine and was nominated in 1989 to become a UNESCO World Heritage Site. Built towards the end of the Medieval Period in the middle of the 15th century, this incredible structure is one of the largest Medieval Castles in Europe. It shows influences of both Gothic, which was typical of the middle ages and Renaissance architecture. 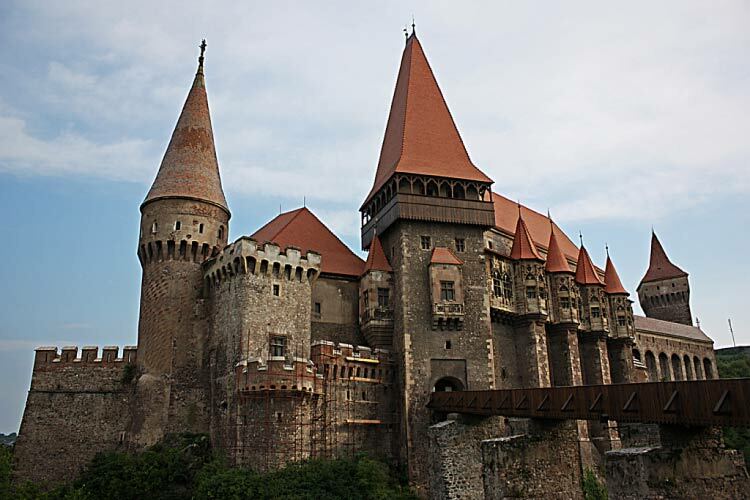 Legend has it that John Hunyadi, a Hungarian military leader and one of the richest barons in the kingdom, held captive Vald the Impaler, a member of the House of Draculesti in this very castle. Showing noticeably different architecture to most other castles built in the Medieval Period, Trakošćan Castle is a classic example of Romanesque style. Built in an unbelievably beautiful setting, the castle dates back to the 13th century. Originally just an observation fortress like many others on the list, the castle was expanded upon in the 14th century when the Counts of Celje took ownership. The castle is one of the best preserved historical buildings in the country. 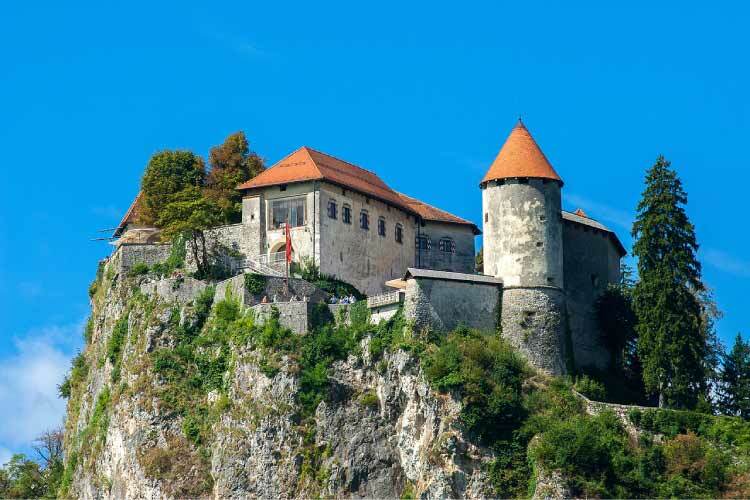 Built in possibly one of the most beautiful locations on earth, overlooking Lake Bled in Slovenia, Bled Castle’s history dates back to the beginning of the 11th century. The castle was awarded to Adalberon, the bishop of Laon who was also a poet, by Henry II in 1011. The oldest castle in Slovenia, there is clear evidence of both the earlier Romanesque style and the later additions which adhere to the Renaissance style. 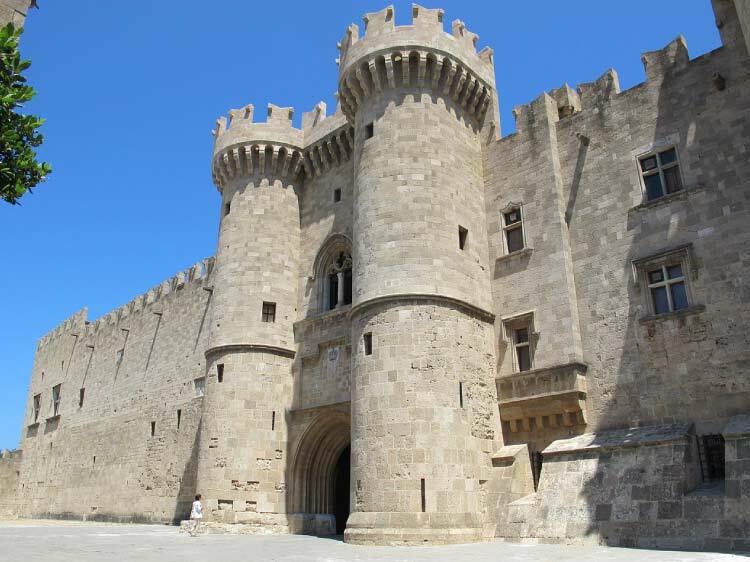 And finally, one of the few examples of Gothic architecture in Greece; this incredible Medieval Castle, also known as Kastello was build initially in 7th century but was modified in the 14th century, not surprisingly by the Knights of Rhodes! The castle was repaired from previous attacks and converted to house the Grand Master and was the administrative centre of the state. Today the castle is open to the public and can be explored along with some of the other incredible historical architecture in Greece. We have undoubtedly missed some of your favourite castles by limiting our list to one per country, please let us know in the comments section below which your favourite castles are and if you have visited them.